When Debbi Tehrani invited me to join the talented team of CSI Detectives I was so excited I nearly disgraced myself. WooHOOOOO!!! It took me all of 10 seconds to think it over! Still pinching myself now ... it's going to be a real buzz to be part of such a talented team and they're such a friendly and supportive bunch of people too - I can't wait to get cracking. Keep watching this space! 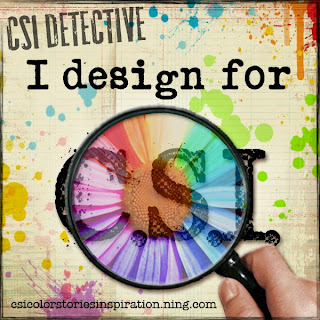 And if you haven't already checked out CSI, you don't know what you're missing - click here to see for yourself and be inspired!